By Karyx. A birthday present for me. 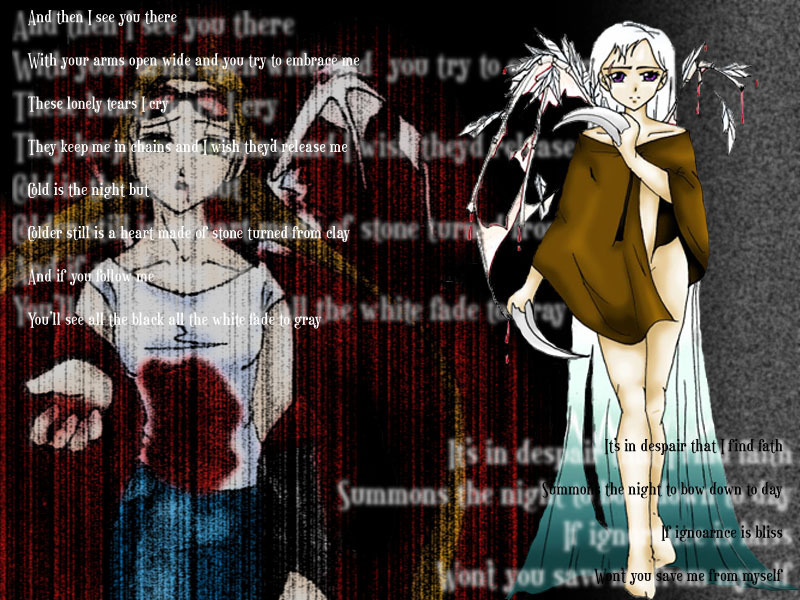 ^,~ It's wallpaper using my images and others' song lyrics and it's uber shibby!